- After hiking the 46 Adirondack high peaks last year I wanted to go back and explore new trails and re-hike the peaks where I missed out on views. First up was Mount Skylight and Gray Peak from the Upper Works trailhead. 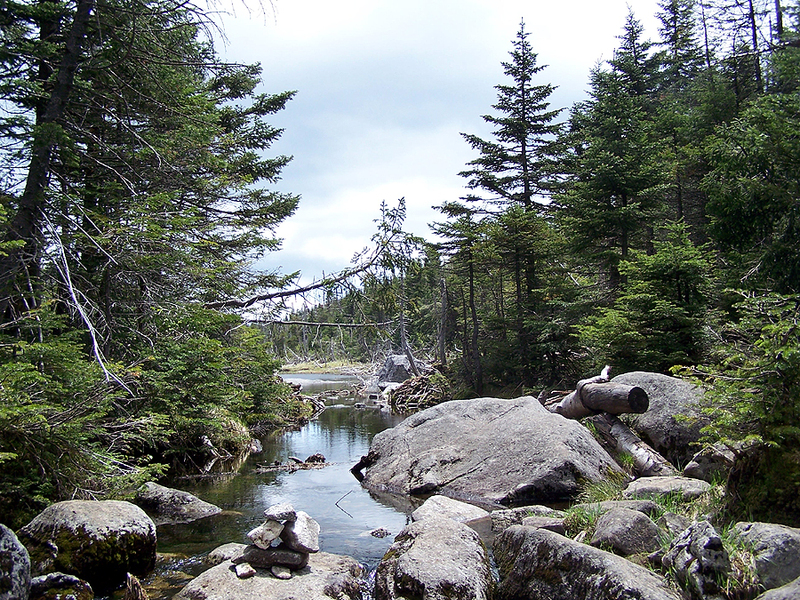 - The Calamity Brook Trail is the southern approach to the central high peaks, it is relatively flat and passes by Flowed Lands. Flowed Lands was created in the 1800's by an iron mining operation, they built a dam on the Opalescent River to diverge water into the Calamity Brook past the iron works blast furnaces. The land is no longer 'flowed' as the dam was damaged then breached so now it's a huge grass marsh with channels of water winding through it. - I was excited to see Flowed Lands but when I reached it the trail went around it in the woods, this kind of sucked but within a half hour I made it to the Lake Colden Dam were the real hiking finally began. - From the Lake Colden Dam the Calamity Brook Trail follows close by the Opalecent River for about a mile which has beautiful cascades, mini waterfalls, and a flume gorge, with fast moving clear water passing over white rock. It makes for great hiking, although you wouldn't want to fall off the edge of the trail in places. - The next highlight of the hike was reaching Lake Tear of the Clouds which at 4,300 feet is the highest pond source of the 'Mighty' Hudson River...yes the same Hudson River in NYC! - After walking around the lake I hit 'Four Corners' - left is Marcy, strait is Panther Gorge, right is Skylight. It is a short steep burst up to Mount Skylight, where for good luck you are supposed to take a rock from four corners and add it to the summit pile. - Views from Mount Skylight were phenomenal, Skylight looks like a bald dome, similar to Mount Eisenhower in the White Mountains. 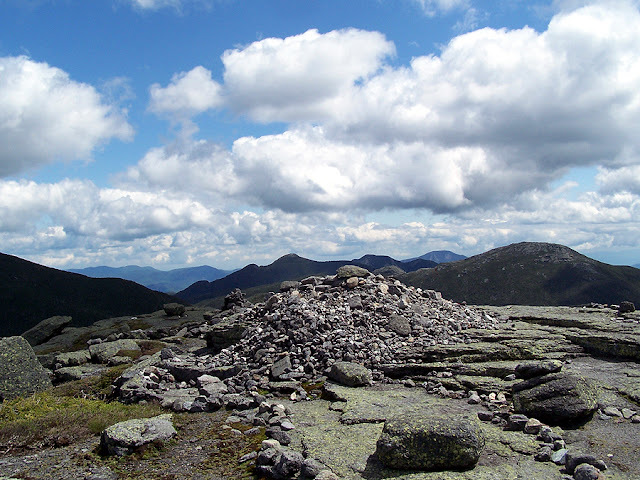 From the summit you can see a majority of the 46 high peaks and the views for me are second only to Algonquin Peak. - After spending about twenty minutes relaxing and eating lunch I headed back down to four corners, skirted around Lake Tear of the Clouds and then hooked onto the herd path up to Gray Peak. 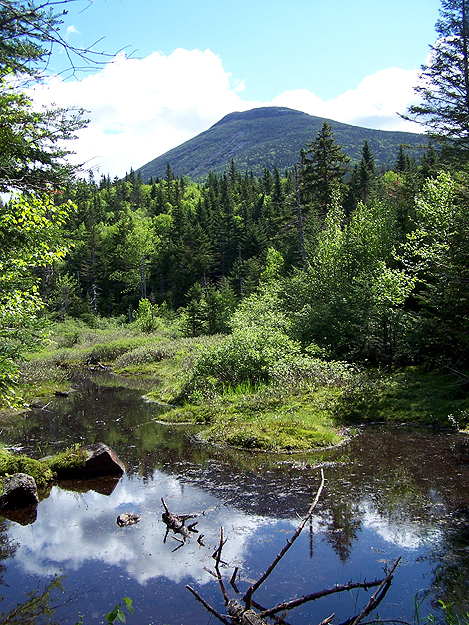 Gray is considered trailless, but there is a well defined yet muddy path up to the summit, it's about a half mile and has some decent views from the summit with Mount Marcy looming large right in front of you. - Now it was time for the long walk back to Upper Works but not before making sure that I would catch a really glimpse of Flowed Lands. When the trail started skirting around it I just headed into the woods to the banks of flowed lands and hooked onto a muddy old path that goes along the shore of the marsh and took in the incredible views. I ended up following the path all the way to the old dam then hooked onto the Hanging Spear Falls / East River Trail a half mile back to the Calamity Brook Trail and made my way back to my car. - It was nice to be back in the Adirondacks and catch great views from Skylight and Gray while getting filthy with mud! Nice trip report. This is on my shortlist. Yesterday I chose Cliff and Redfield via Calamity Brook from Upper Works. Nice day. I love the herdpath up to Redfield! I even enjoyed Cliff's Cliffs and didn;t mind the mud...too much! I need to go back and do those peaks again, I didn't get views the first time I hiked them. Have fun when you hike to Skylight, wait for a good day so you can enjoy the views, it's one of my favorites! Enjoyed the report and photos. Skylight's one of my favorite peaks. 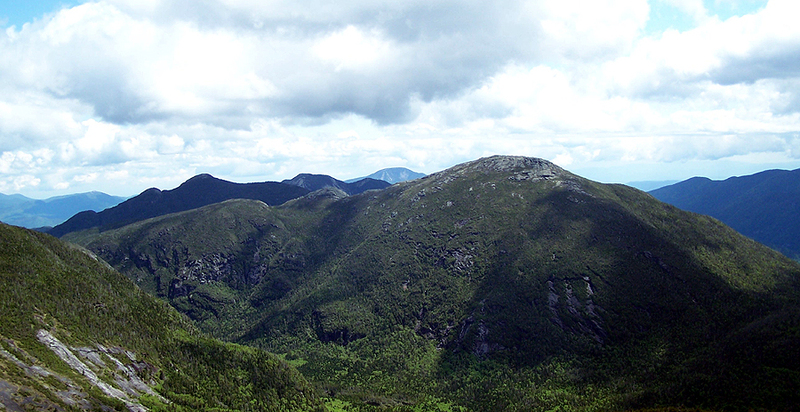 Awesome views of Marcy, Haystack and Panther Gorge. Thanks Jeff, glad you like the pics and report....I love that view across to Haystack and into Panther Gorge, tremendous!! !